2018 saw the centenary of Debussy’s death, and a barrage of new releases of his music, some more useful than others. His very late Sonatas, for violin and piano, cello and piano, and flute, viola and harp, show the composer in his most introspective and innovative mood. 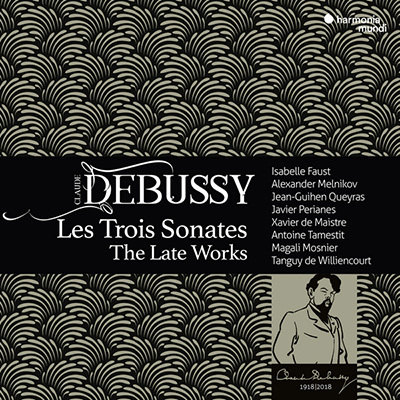 Debussy’s reputation has still not freed itself from the curse of ‘Impressionism’; these works make plain his skills in marrying his imaginative filigree with abstract, formal, even traditional musical arguments. Three more were planned, but to our great loss they were never written. 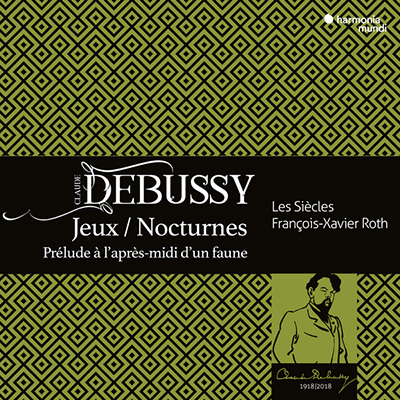 This new release is one of the outstanding releases of ‘Debussy year’, featuring some of the finest musicians working today: Isabelle Faust and Alexander Melnikov in the Violin Sonata, Jean-Guihen Queyras and Javier Perianes in the Cello Sonata. The other players are less well-known but equally convincing. 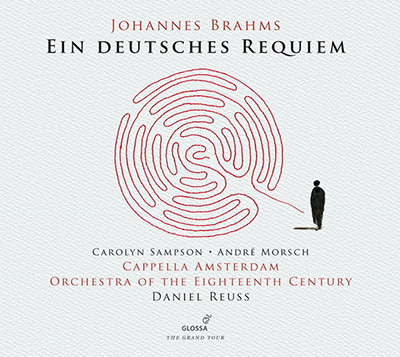 Harmonia Mundi have done us a great service with this CD, and whether the works are familiar to you or not, these performances will simply astound. Another invaluable ‘Debussy year’ release. François-Xavier Roth’s orchestra les Siècles specialises in original instrument performances, and in this new Harmonia Mundi recording we hear three of Debussy’s most iconic works as they might have sounded when new. We tend to think of authentic period practise as being a fetish of early music aficionados, but it is startling how different music even as recent as this sounds with the original tone-colours—the flute at the opening of the Prélude à l’Après-midi for instance. The performances are convincing: confident, rich, and powerful; the recording is everything one could wish for. Debussy’s vision has never been better served. 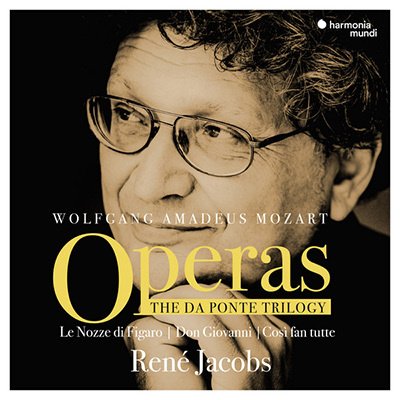 This 9CD box set brings together all three of René Jacobs’ authentic instrument versions of the three great operas Mozart wrote to libretti by the sui generis Lorenzo da Ponte, Le nozze di Figaro, Don Giovanni, and Così fan tutte. When originally released all three won high praise for the singing, the instrumental playing, and the sheer joie de vivre of the performances. Featuring singers of the calibre of Veronique Gens, Bernarda Fink, Simon Keenlyside, Angelika Kirschlager. Patrizia Ciofi, and Werner Güra, these versions present Mozart at his most life-enhancing. They are also, as they say, ‘priced to please’. Being a Catholic under Elizabeth I was precarious, and many composers of the faith went into voluntary exile in Europe, or stayed and lived in isolation and danger. 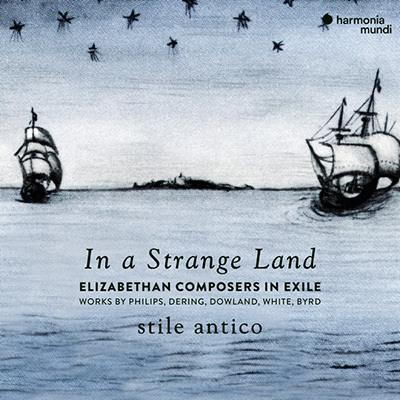 Stile Antico have established themselves among the preeminent performers of 16th century music, mainly a cappella, and this new release contains some of the greatest and most deeply expressive music of the time, drawing on the composers’ anxieties, and framed in the language of melancholy. It would be hard not to be moved by this release, especially as we watch England repudiate Europe yet again. A short but charming modern setting of Shakespeare by Huw Watkins completes the program. Saint-Saëns’ Third “Organ” Symphony continues to cast its spell. 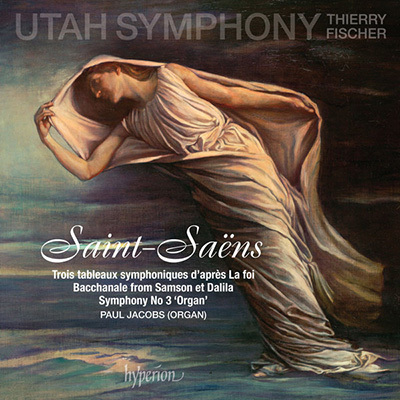 The Utah Symphony under Thierry Fischer offer us a powerful and compelling reading of this familiar work. 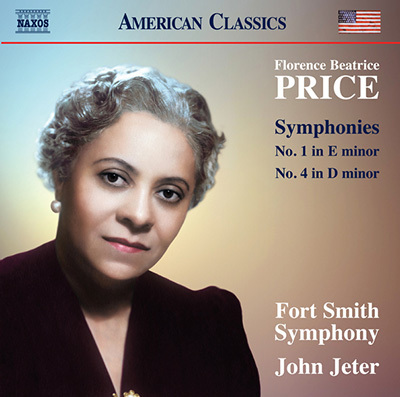 And that could have been that for this CD, but for the decision to balance the symphony with a virtually unknown and substantial Saint-Saëns work, the half-hour long Trois tableaux symphoniques d'après La foi, excerpted from music he wrote for a play in 1909. This work concerns itself with Ancient Egypt, giving Saint-Saëns the opportunity to use a range of mildly exotic scales and instrumental colours in his inimitably inventive way, managing to stay poised between good taste and orientalism. Sandwiched in-between these two impressive works is the utterly charming Bacchanale from Samson et Dalila. 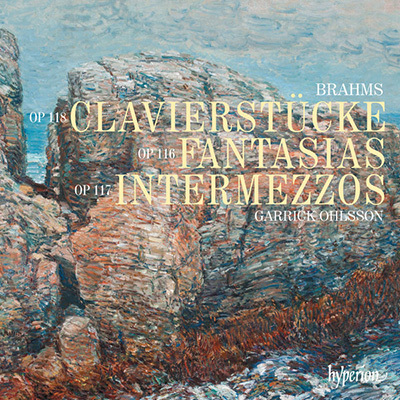 Legendary pianist Garrick Ohlsson turns his attention once again to Brahms, this time the very late works. Entitled Clavierstücke, Fantasias, and Intermezzos, these works possess a quiet sense of introspection, rarely even raising their voice. With his trademark attention to detail and intensely romantic approach, Ohlsson gives these works a luminous intensity that lingers in the imagination. Perhaps uneasy with leaving us so entranced, he completes the recital with a brief Scherzo, written when Brahms was only 18, bringing us back to earth with the most genial of touches. Portrait CDs of Australian women composers are fairly rare, particularly of the generation born around WWI. Given the quality of their work this is all the more puzzling. 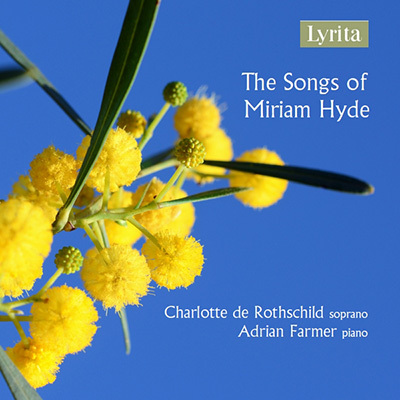 Lyrita’s new CD of the songs of Miriam Hyde introduces us to another side of a composer mainly known for her educational activities and piano music. The lyrics for her songs cover the gamut from Helen Waddell to Hyde’s own texts, and the music has a sophisticated, if traditional, cast, to which soprano Charlotte de Rothschild and pianist Adrian Farmer do full justice. Not major masterpieces, perhaps, but a thoroughly enjoyable collection of works from an older Australia. Some CD releases have a self-evident appeal—who could resist a box set of the complete Piano Concertos of John Field? 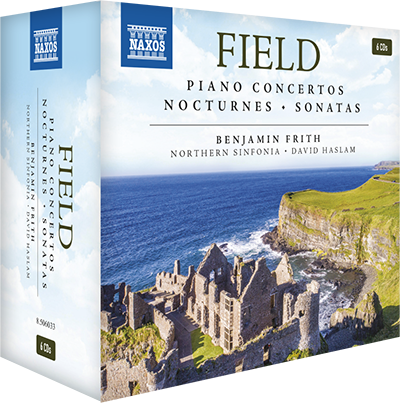 If you’ve worn out your recordings of the Piano Concertos of Mozart and Beethoven, Field’s are surely the obvious next stop. Field’s story, of an Irish-born virtuoso pianist and probable piano salesman, apparent inventor of the Nocturne, who settled permanently and extravagantly in Russia, is worthy of Hollywood. The works themselves are among the greatest of their time and were admired—and sometimes emulated—by such luminaries as Chopin, Hummel, Moscheles, and Liszt. The performances, by Benjamin Frith and the Northern Sinfonia under (mostly) David Haslam, have repeatedly received high praise. Irresistible! One can admire virtuosity for its own sake, but Liszt’s Transcendental Etudes are so much more than just showy stuff: one can enjoy them at many levels. Primarily they are miniature tone poems, ranging in manner from the melodramatic Wild Hunt and technically outrageous Mazeppa, to the glorious Harmonies du Soir and deft Feux Follets. Historically they are also relentlessly ground-breaking in their pianistic inventiveness. 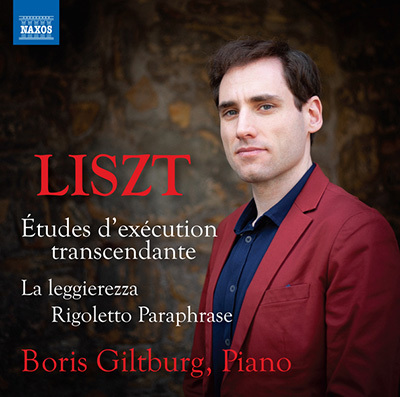 Indeed, it is very easy to forget how hard the pianist is working, and in this new recording by Boris Giltburg his skill is such that one is only aware of the musicality—genuinely transcendent. Many pianists have made their names playing this repertoire, including Cziffra, Bolet, Berman, and Arrau, and Giltburg clearly is in line to join their pantheon. This is a release of the first-rank, and a major landmark in Naxos’ recording history: an essential purchase whether you are a fancier of masterly pianism or simply an admirer of fine musical imagery. If it wins the still underrated Liszt more admirers, all the better. As the title declares, this is a CD comprised entirely of choral works by British women, written at various times through the last century. 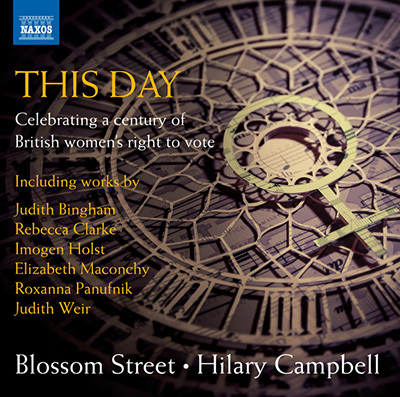 The release celebrates the centenary of a very significant date, 14 December 1918, when the election was held that introduced women’s suffrage to the United Kingdom. Many of the composers are quite familiar, Judith Weir, Roxanna Panufnik, Elisabeth Maconchy, Nicola LeFanu, and inevitably Hildegard, but others are less well-known, providing a wide spectrum of styles. As the works were not specifically written for the celebration, the subject matter varies broadly, making for a satisfyingly non-narrative program. The recent fad for choral music led by such composers as Eric Whitacre had felt rather male-dominated and as well as offering a satisfying compendium of women’s music, this CD makes the strong point that women have always written choral music too! It is remarkable to think that all three works on this CD are by the same composer. 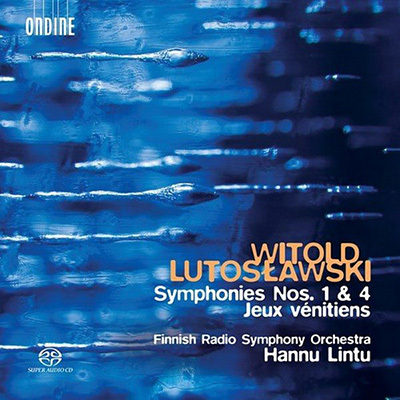 The two symphonies recorded here bookend Lutoslawski’s career; the first, from his 30s, owing much to Stravinsky and Roussel, was written during the Nazi occupation, is full of big, bounding tunes, and has a certain ironic flavour. The fourth, written in his last years, is a statement of Mahlerian gravity, with faint hints of Britten, and draws his symphonic cycle to a magisterial close. In between these two symphonies Lintu and his Finnish Radio Symphony give us a work from his venturing middle period, the remarkable Jeux Venitiens, which introduced his famous ‘aleatoricism’—shocking then, but barely controversial today. This CD is very well designed as a portrait of one of the major composers of the previous century, covering his entire creative range, and the performances are radiant. Armas Järnefelt was a very successful composer in his lifetime, but his star has rather waned, despite his being Sibelius’ brother-in-law. His teachers were Busoni and Massenet, and his musical language is artfully traditional—well-suited to silent film. He was asked to provide a score for the 1919 film, Song of The Scarlet Flower, a task he, by his own account, found unexpectedly challenging due to the variable film speeds of the time. Nonetheless, he produced a score of remarkable richness and depth, reflective of his engagement with Finnish nationalism, and full of leitmotifs, a technique he had encountered when championing Wagner. The film went on to be a huge success, and is now regarded as a major work in the canon of Nordic film. 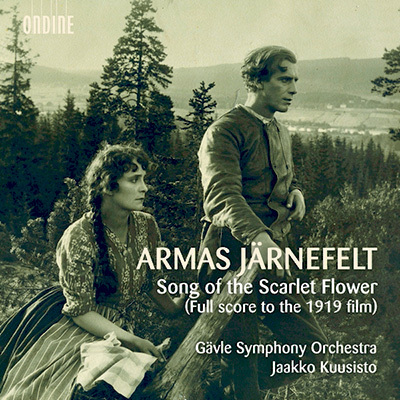 For this reason alone, Järnefelt’s score would strongly merit revival, but his ‘symphonic poem’ is sufficiently fine to transcend its origins.